Puckerbrush cider is a project of Newhall Farm in Reading, Vermont. This particular rosy offering is made from estate apples supplemented with fruit from a neighbor’s orchard. The pressed juice was fermented on grape pomace leftover from Newhall’s red winemaking, and the cider was bottle conditioned. 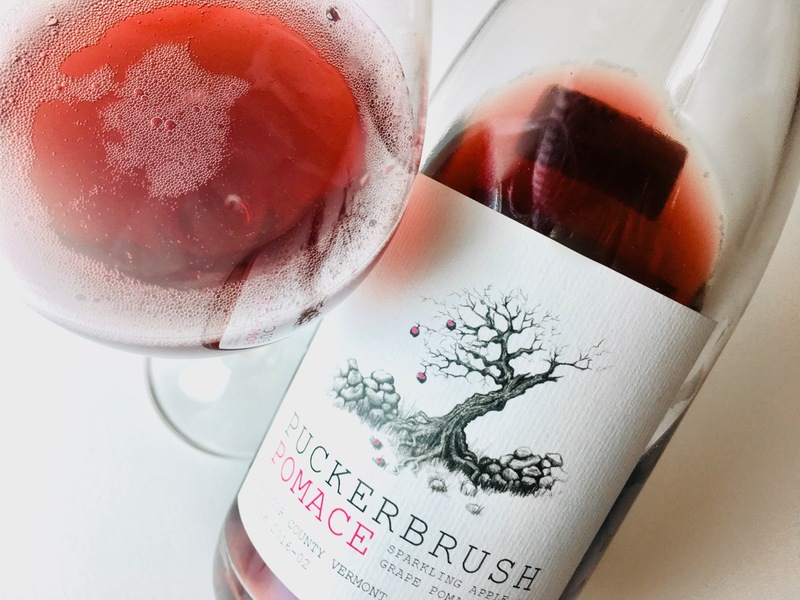 The result is a deep rose red — it’s not really a rosé, but a true sparkling red cider — and effusively fragrant of wild strawberry, balsamic, field flowers, and tea. Fully dry and crackling with snappy astringency, it has fleshy mid palate with flavors of strawberry and red apple. The cleansing mousse dissipates in a blaze of bright cranberry. There is almost no autolysis effect; it is not savory or coating, and there is also funk or autumnal earthiness. Instead, it’s shiny, juicy, brisk. A good companion to salmon, pork loin, roasted poultry, cured meats, and buttery young cheeses. Previous Article What is Residual Sugar in Wine?